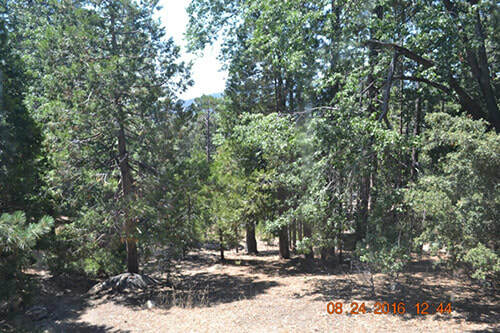 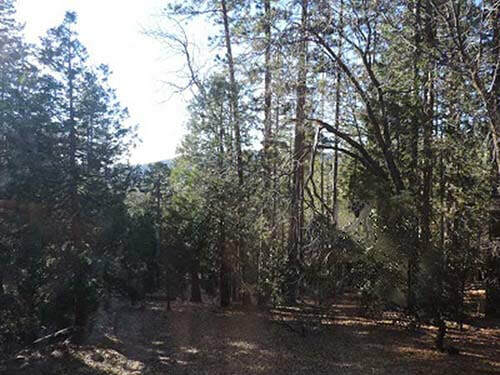 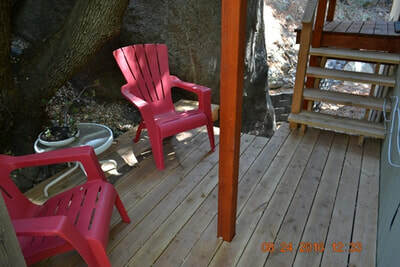 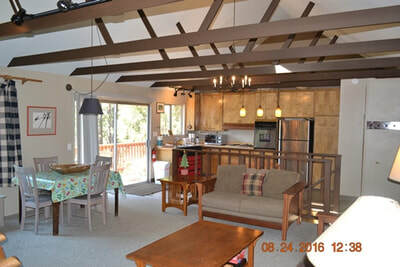 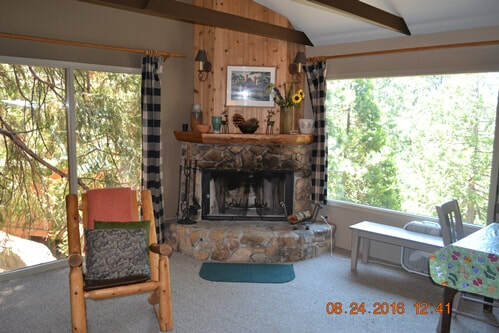 Sunset Cabins - Two Vacation Cabins Located in the Mountains of Idyllwild, Calif.
Modern Mountain Cabin with Fantastic Views! 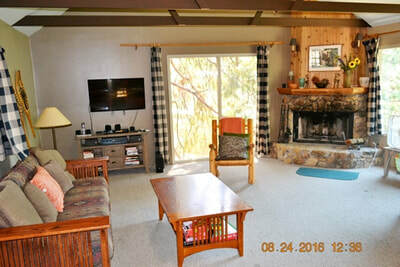 30 " Flat Screen TV with Cable TV in Upper Living Room. 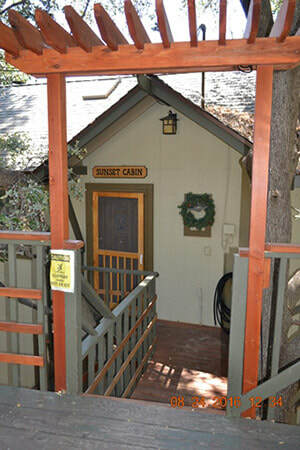 Sunset Cabin is on a cul-de-sac close to the Ernie Maxwell hiking trail. 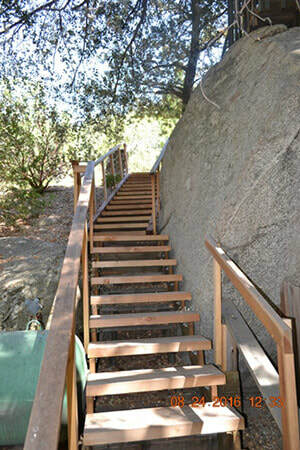 Massive granite boulders at street level support the parking deck and part of the entry deck. 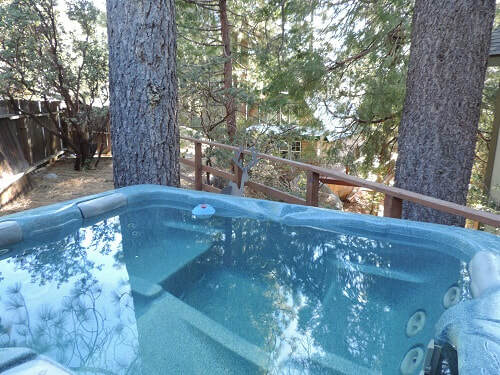 The sparkling Hot Tub is at this upper level behind the large boulder. 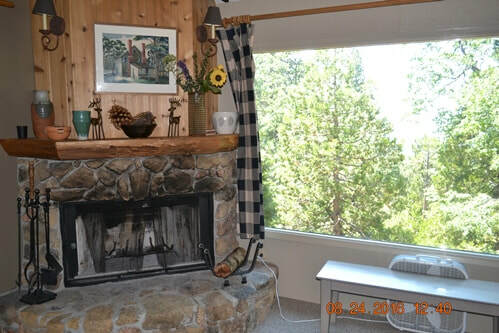 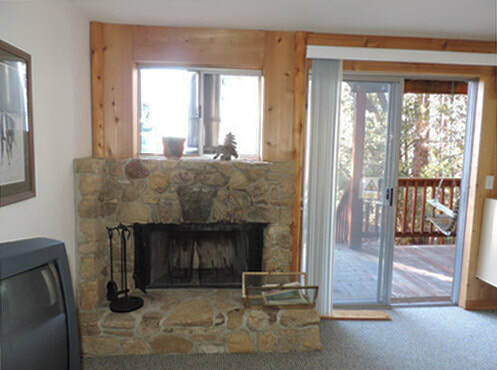 You enter the cabin from the top floor into the great room that sports a large rock fireplace. 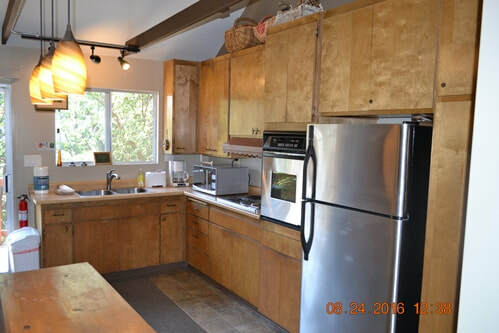 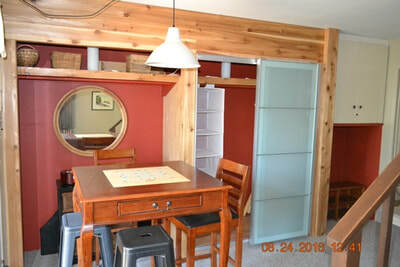 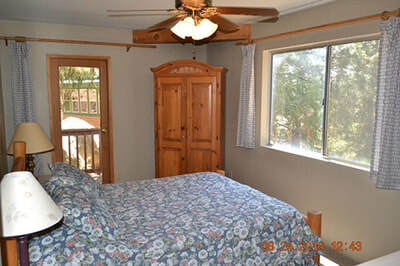 The Living and Dining areas offers a lovely kitchen and half bath nearby. 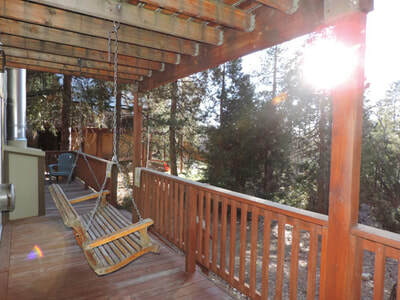 A west facing deck for barbecuing, relaxing, and sunsets are off the great room. 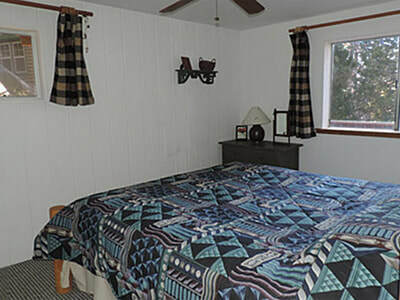 Downstairs are two bedrooms each with queen beds and a shared bath with shower.Two decks are at this level with one being close to a game table that is set up for chess, board games or cards. 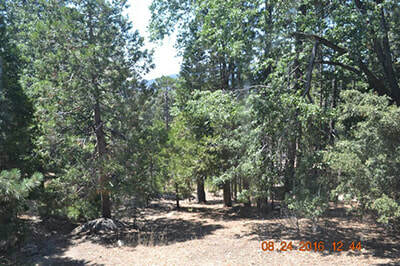 Additionally the owners have horseshoes and croquet for guests to use outside in the clearing below the cabin. 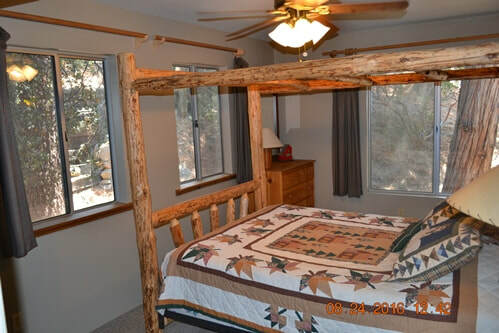 For guests who may want an additional bedroom for their mountain getaway, the lowest level of Sunset Cabin with separate entry can be added to the package. 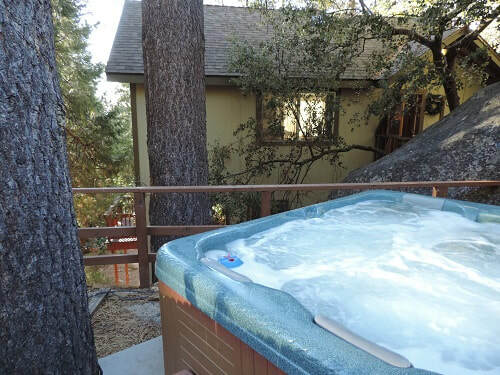 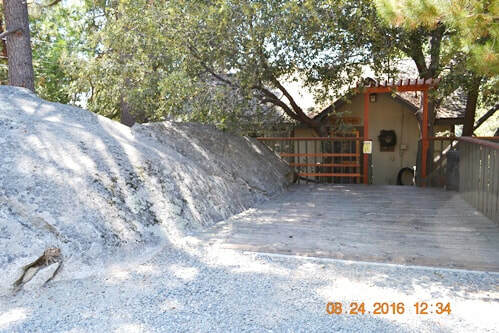 This features a California King Bed with kitchenette, cozy living room with a second rock fireplace, bathroom with shower. This unit is only available as an add-on to the upstairs, not by itself.